In the harsh environment of a paper machine, the materials have to meet unusual requirements. In countries with tropical temperatures in particular, the components in these machines can quickly be exposed to ambient temperatures of up to 70°C. In addition, electronic and mechatronic units within the machine itself must be made in higher protection classes of > IP67 to prevent the penetration of dusts and liquids. Customer-specific linear actuators from Phytron based on the stepper motor principle provide an axial force between 200N and 10kN, depending on machine type, and allow customers to set the paper thickness within a precision range of less than 10µm, irrespective of whether the machine produces cardboard packaging or high-quality photographic paper. Alongside binary limit switches, some systems even have linear absolute sensor technology with more than 14-bit resolution for position detection. To control the linear actuators, we have developed for our customers an 8-axis stepper motor controller, which is also made to IP 67 and which can thus be placed outside the switch cabinet, close to the actuator, directly in the machine, so that there is no need for long motor and sensor cables which are sensitive to interference. 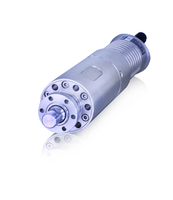 This multi-axis motion controller is integrated into the machine network via an Ethernet interface so that it is also able to communicate with the higher-level machine controller. Time is money. This dictum is also true for our customers. If paper production needs to be halted because of a faulty machine component, things quickly start to get expensive. 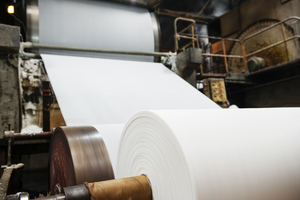 This means that the demands made on our products in terms of failure safety and quality in the continuous operation typical of paper production are particularly tough. However, our quality management system, certified under ISO 9001 (since 1994) and EN 9100 (since 2016), allows us to meet these demands reliably and confidently.